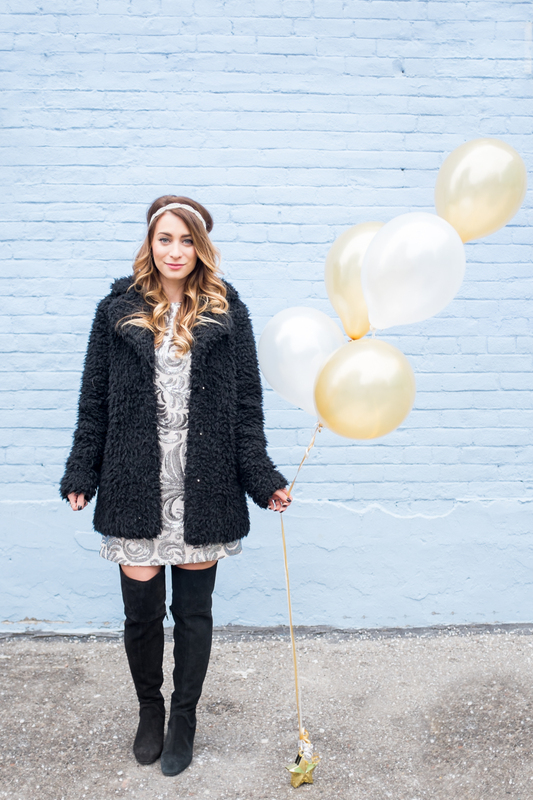 OOTD - Happy New Year + Real Talk | La Petite Noob | A Toronto-Based Fashion and Lifestyle Blog. So excited to hear more about your plans! Congratulations on such an amazing year! 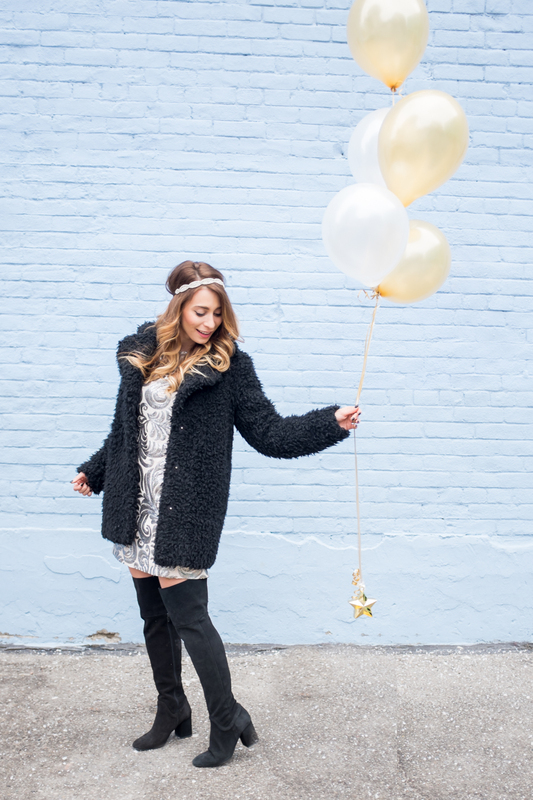 I totally stayed in with friends on NYE- but obvi got fancied up! This dress perfect on you! Thank you Gabriella! I had a ton of fun following along your New Years shenanigans on Snapchat - who says that staying in is boring?? 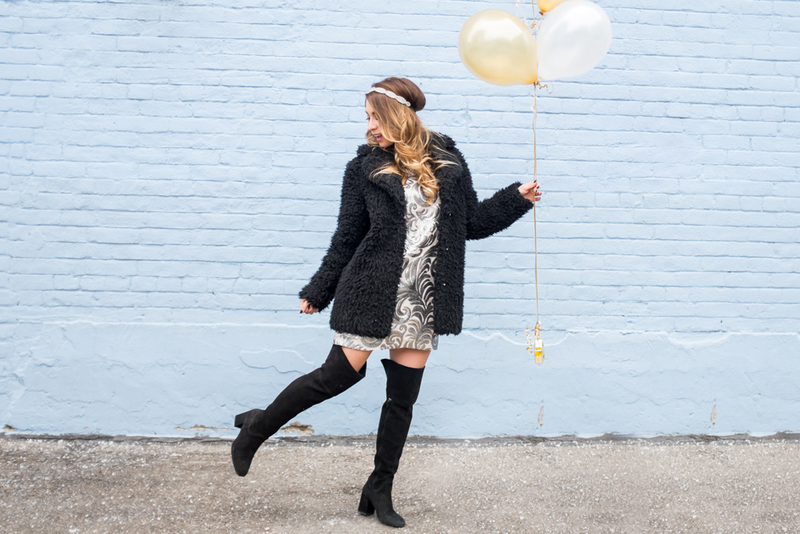 Excited for what 2016 has in store for us! Our posts are so similar today...old lady status + getting dressed up regardless of where you are is the best option in my books, haha! You look gorgeous girl! YES - Grandma life! Thank you Kaylee! Congratulations Joelle! So happy for you! I can't wait to see what comes out of the next year, I just know it will be great things! Thank you so much Courtney! I think that 2016 will be an amazing year for all of us! Happy New Year! !Wishing you the best for the new year and achieving your goal of maybe full time job at La Petite Noob? Never say never! Thank you so much Chloe - same to you! Love watching your videos. So excited to see what's coming!! 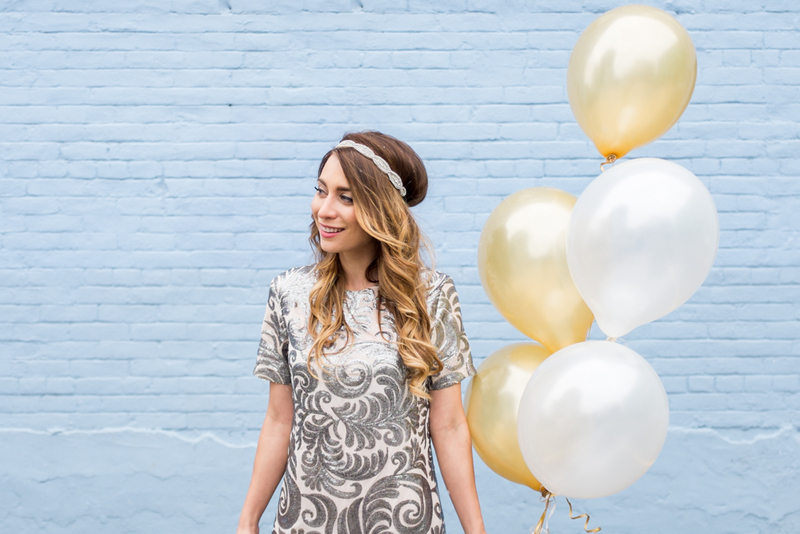 You and your blog have had such a great year! YES the 5 minute walk to bed! You really can't beat that! Looking forward to many more Kris+Joelle hangouts in 2016 - I'm hoping to make my way to MTL! This is such a pretty outfit! 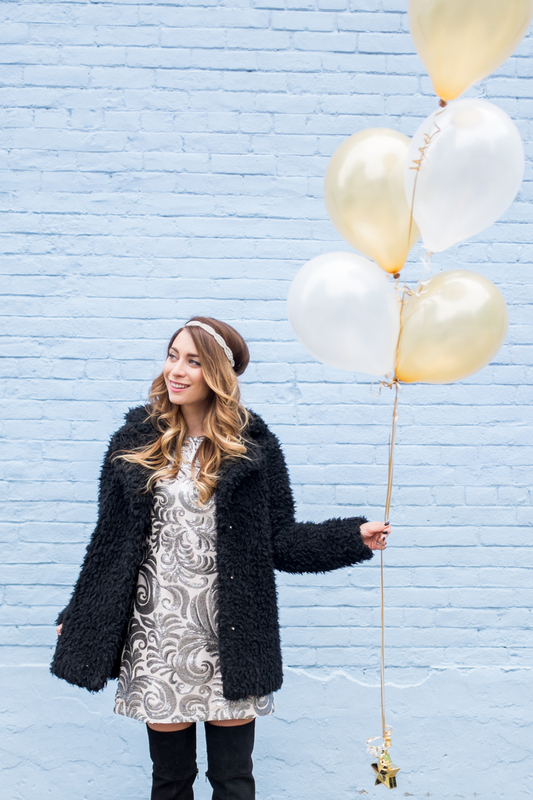 The dress and the coat are so perfect together. My NYE was also pretty low key...but I still wore the sequins, since I wanted to. Happy New Year! I stayed in with family on NYE too, and it was WONDERFUL! Much needed after the craziness of the holidays. 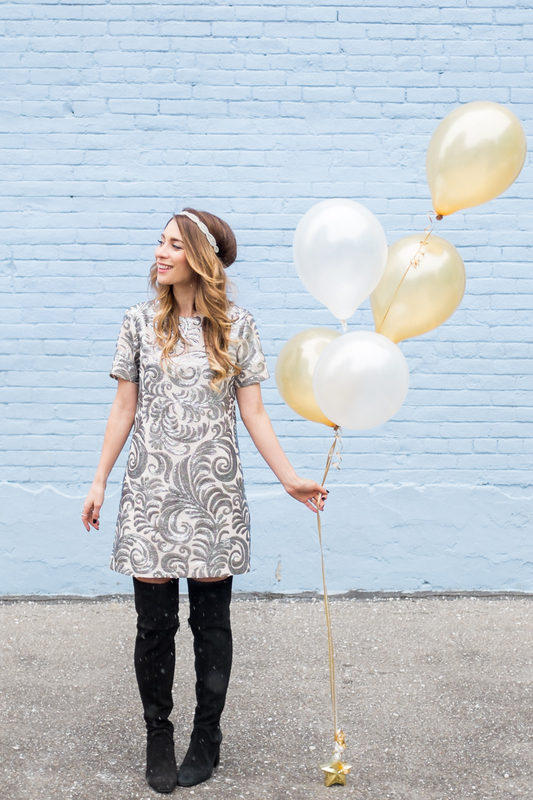 I'm excited to see what's in store for your blog in 2016 - I've loved following you this past year!